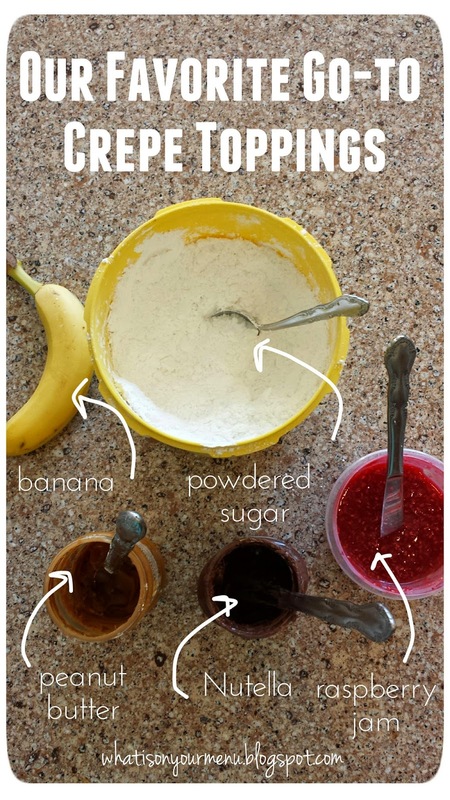 Sweet Crepes: My kids' favorite breakfast! If you ask my kids what they want for breakfast for their birthday, they'll either answer Lucky Charms or crepes. Not really comparable, but I would definitely choose crepes. 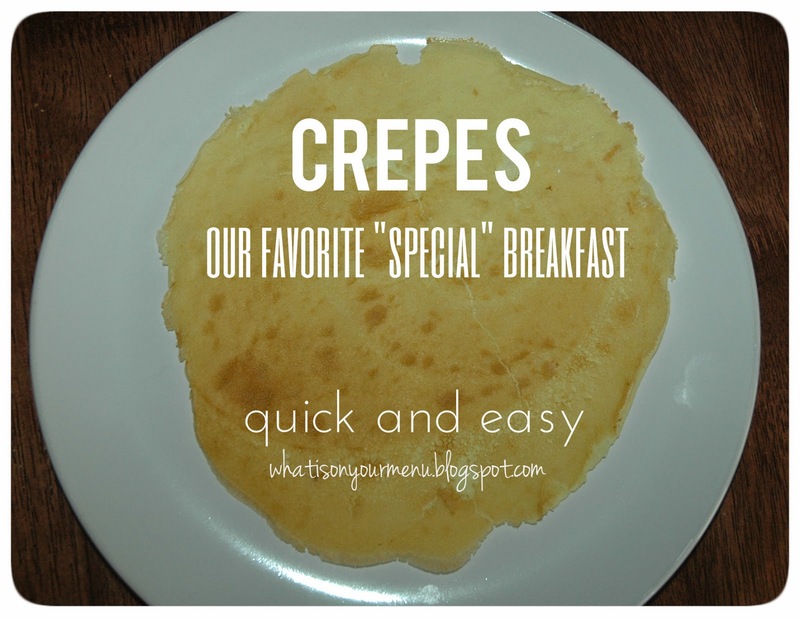 Crepes are one of my favorite "special" breakfasts to make. I don't make them on school days or on Sundays if we have 9:00 church. They take a little while to make one by one, especially since they're usually snatched up the second they hit the platter. I made these last weekend since we didn't have to go to church early since it was General Conference weekend and we got to watch "church" at home. I didn't get a picture of a beautifully wrapped crepe, because, really, they were scarfed down so quickly, I was lucky to get a couple of them. They're that yummy, I guess! I love that crepes can be topped with anything. I'm not a huge fan of savory crepes. I need a little nutella in my crepe, not spinach and sausage. The possibilities are endless. And delicious! Update: 1/16/17 My sister gifted me this Cuisinart crepe pan our lives are forever better for it. It makes crepes so easy to make. They're beautifully round and easy to turn over since the pan is made for crepes. Wish I would have bought one earlier. - I usually double this recipe for my family of 6. In a blender or with an immersion blender, blend together eggs, milk, flour, oil, salt and sugar until well mixed. Heat a non-stick skillet (I use my big 11" Kitchenaid non-stick skillet) and grease with a little butter. When the skillet is hot, pour a round circle of batter (about 2 T. or more) in the center of the skillet. Lift and tilt to spread batter thinly. Very carefully flip crepe when it starts to bubble and is slightly brown (happens quickly, less than a minute). Cook other side for several seconds and then invert onto a plate. Repeat with remaining batter, occasionally greasing skillet with butter. Amazon affiliate link for your convenience, but feel free to shop around.